One of my suggestion’s would be to read my post “How can you build more trust and develop better relationships?” . The next one is to go your most indispensable sales people – your customers. 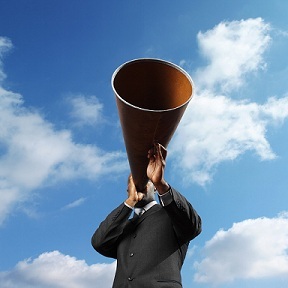 I find that the people who are really growing, are doing what I call “megaphone marketing”. Megaphone marketing is about really growing through the people who like you, who respect you, and who have a vested interest in your success. These people are willing to listen to you, willing to take your call, and these people are warm (meaning you have earned permission to send them personal, anticipated and relevant messages) and they love you. So if you hand them a megaphone and if all of them are talking about how great your organization, product or service is, suddenly the warm leads multiply. And warm is critical because cold doesn’t work as well as it used to, but warm, the people who will give you permission to send them messages, go up. Where does the megaphone live? The megaphone lives largely online at places like Flickr, Del.icio.us, on Blogs, Pintrest, Squidoo, StumbleUpon, Digg, and Hubpages, and all these sites are organized around a human being telling a story about a product, company, salesperson or idea and if you show up in those places, people find you. Offline the megaphone lives on bumper stickers for people’s car, business cards, coupons, at organized classes that teach people, and etc. I like it when you give detailed instructions. Thank you! « Get good enough at the important thing, first!